On October 13th, JKN published a report pertaining to “Eateries in Ramat Eshkol and Geula”. Since the posting, there have been many emails pointing to confusion, prompting me to publish this clarification in an effort to set the record straight. This clarification refers specifically to the portion of the report that addresses the Yesh supermarket in Ramat Eshkol, specifically the bakery. In short, the bakery is NOT under the supervision of Chug Chatam Sofer Petach Tikvah. The mashgiach, R’ Shimon, is a private individual and he does not represent a kashrut organization. The information reported is based on his statements to me. I thought that was clear but apparently, some were confused. R’ Shimon told me the baked goods arrived frozen and are baked on premises, all under the Chatam Sofer (Petach Tikvah) supervision, once again, based on his statements. I DID NOT confirm this. 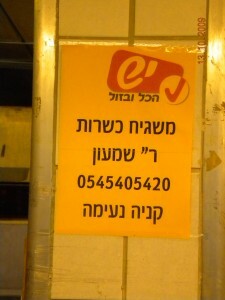 Anyone wishing to speak with Rabbi Shimon may call his cell at 054-540-5420. In addition, other statements are quotes from R’ Shimon, including his information that the employees are all Jews, oven lit by Jews and etc. Any questions should be directed at him and please, understand, there is a difference between the mashgiach reporting the goods used are Chatam Sofer Petach Tikvah and that the bakery is under the kashrut organization’s supervision, which it is not. I hope this sets the record straight and my apologies for being the cause of any confusion. Posted on October 18, 2009 by JKN Israel. This entry was posted in JKN Alerts, Restaurants. Bookmark the permalink. Uh, is he authorized by the Chief Rabbinate (and hence reliable)??? You were absolutely right in raising the alarm here. You didn’t make any mistake and you have nothing to apologize for. 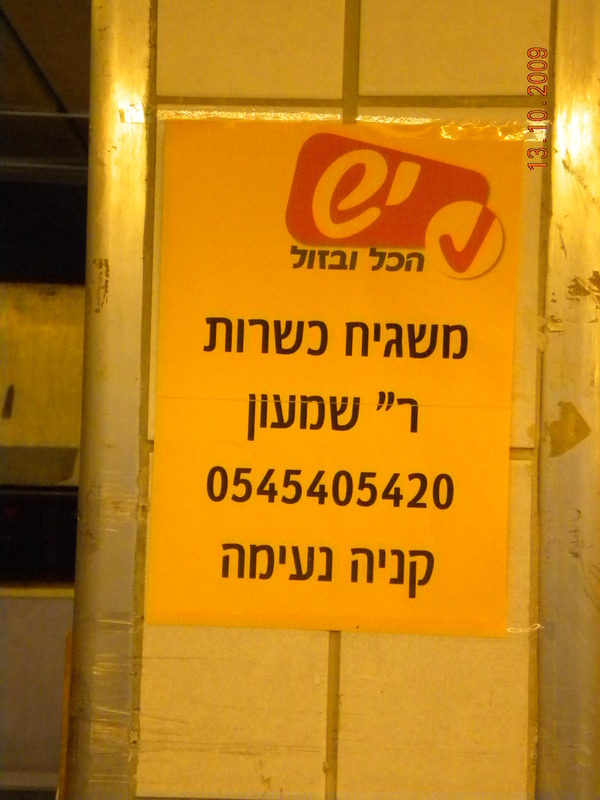 As you said, the Yesh bakery in Ramat Eshkol does *not* have any supervision, other than that of this Reb Shimeon, whoever that might be.